"This morning, Big Brother handed the Housemates a fun creative Task, to wrap up an incredible season. 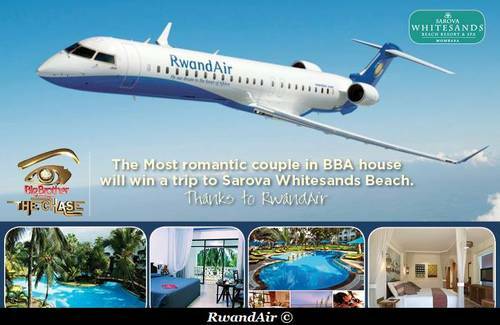 As an ode to one of Big Brother's esteemed sponsors, RwandAir, the Housemates have been Tasked with painting a model plane in the beautiful RwandAir colours. 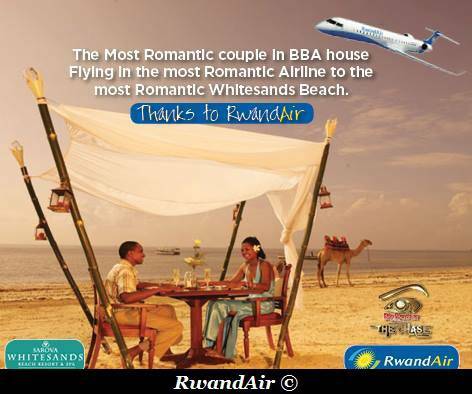 Once this is done, the Chasemates will then duplicate the airline's route map using the paint provided." Bigbrother Africa. The Housemate who wins the Most Romantic Gesture wins themself a five-night, all expenses paid, stay in a luxury room at the Sarova White Sands Hotel in Mombasa, Kenya with anyone they choose to take.